What is the “Mono Lake Fat 40”? 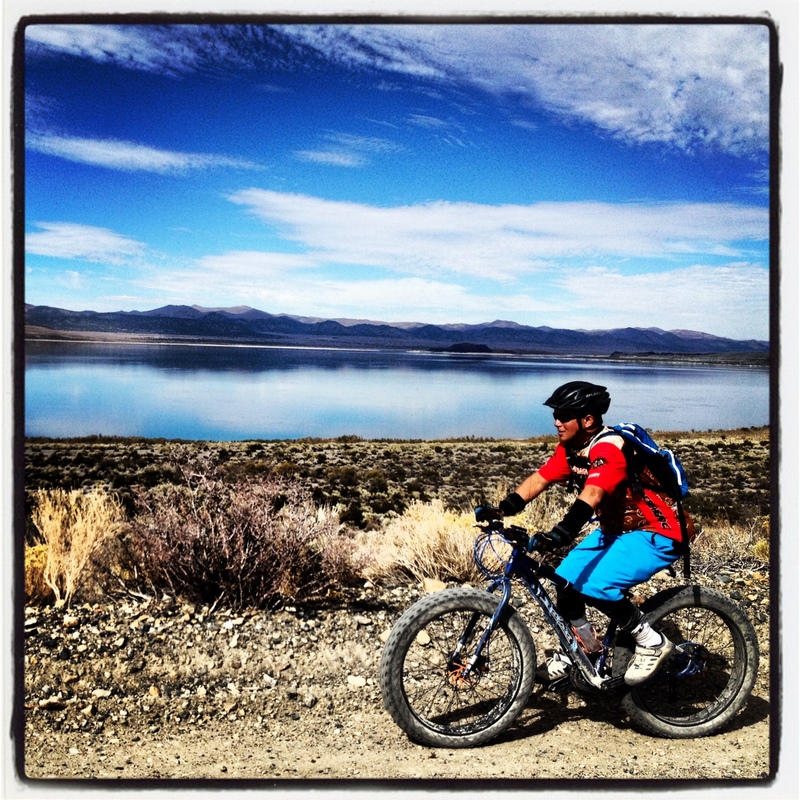 It’s a sweet 40 mile loop ride around Mono Lake. Not much elevation gain/loss, but there are large doses of sandy riding that will have you walking a few sections, even with a fat bike (HIGHLY recommended). The views are stunning for the whole ride. Mostly double track and jeep roads that allow you to ride and carry on conversations with your friends. We encourage this event as a “group ride” with friends, but it’s also great as an “Individual Time Trial” for those that wanna race it fast. Either way, a great excuse to #ridebikeswithfriends. It seems best between June and October, but can be ridden whenever there’s not too much snow. If you’re considering doing it, Contact Us, and we’ll try to answer any logistical questions you may have. We stage at the Mono Basin Visitors Center just north of Lee Vining. Depending on when we do the ride, we’ll probably head over to Mono Cone or Mobil Mart for post ride food and libations. This is a self-supported ride. Bring enough supplies to get you through a full day in the saddle. 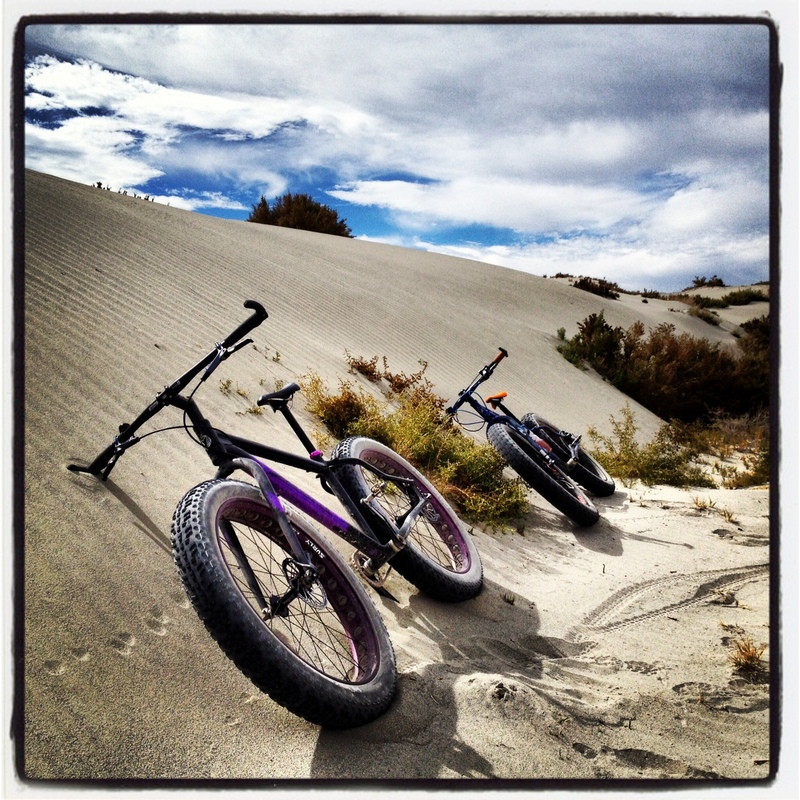 We highly recommend fat bikes running low tire pressure for this ride. 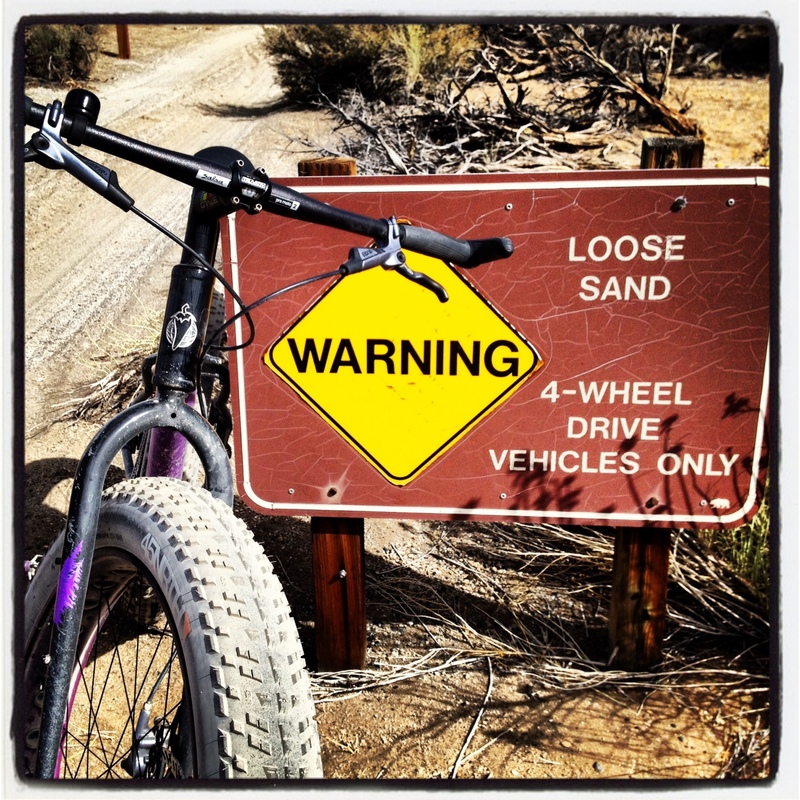 Due to the sandy conditions for approximately 10 miles, mountain bikes will force lots of walking. Yes. We park at the Mono Basin Visitors Center and descend to the “rusted car” via dirt trail. We then start the loop in the clockwise direction. 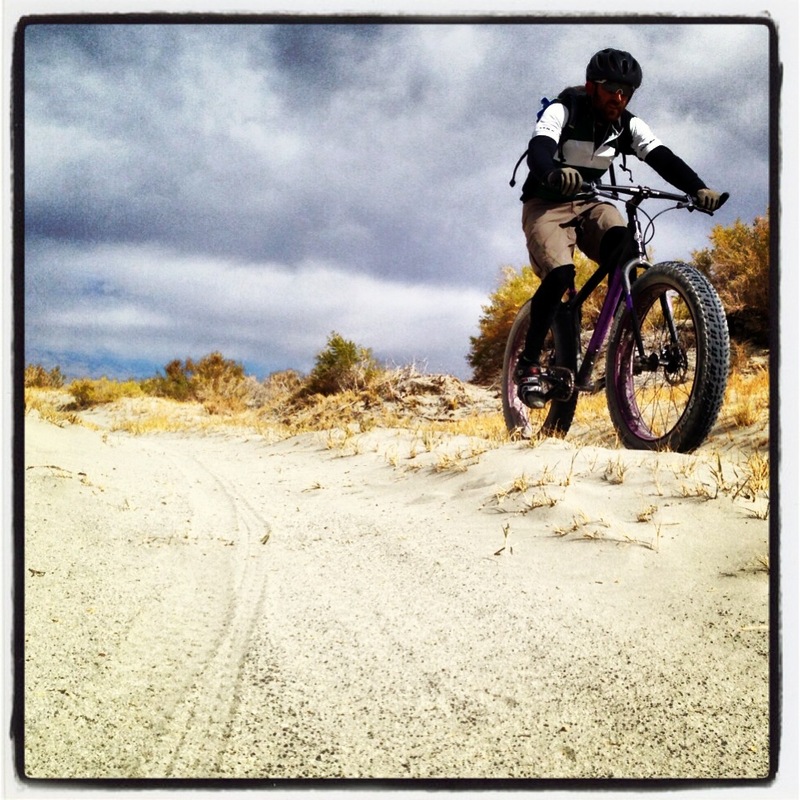 There’s a brief stint on Highway 395, but 95% of the ride is on dirt ( or sand). After jumping off Highway 395 at Cemetery Rd, we continue on double track and jeep roads for most of the ride. We pass by Alkali Ponds, sand dunes, and have wicked views of the lake and surrounding mountains for the whole route. Eventually we pass Navy Beach and make our way back to the rusted car, and climb back up to the Visitors Center to complete the loop. GPX File: Contact Us if you plan on doing this ride on your own, and we’ll send you the file.